It was mid-morning by the time the bikes were reassembled, the panniers re-packed and we were ready to ride out into the Osaka traffic. The night had been restless. Kansai International Airport, in my opinion, is undeserving of its spot in Asia’s Top Ten Airports for Sleeping. First of all, the bright fluorescent lights are never dimmed. Secondly, the piped in music doesn’t shut off till well past midnight and is then replaced by a loud incessant beeping. I know, airports are not hotels so I ought to just shut up and be thankful for the free accommodation. Kansai does score points for security and courtesy. A policeman dropped by to check passports and when Eric informed him that ‘wife is sleeping’ the officer bowed deeply, apologized and slipped away soundlessly. Based on a few blogs and random Facebook comments, I had a vague notion that everybody loved cycling in Japan. I thought we’d love Japan cycling, too. We don’t. At least not yet. In places, it looks like somebody emptied a massive bucket of asphalt over the country and plopped down apartment blocks, Pachinko parlors and 7-11 convenience stores at random. Tracking down a nice shade tree is like trying to find a restaurant serving lunch during Ramadan in Jakarta. We spend much of our time tangled up in the vast network of roads searching for the cycle way. It doesn’t help that the expected summer rains have failed and we’re sweltering in this concrete jungle. Even lovely Kyoto with its myriad of temples and shrines has failed to lift me from my funk. I yearn for pine trees and cool meandering streams. Tall mountains and empty roads. We’ll find them, I’m told, once we escape the Osaka-Tokyo corridor. 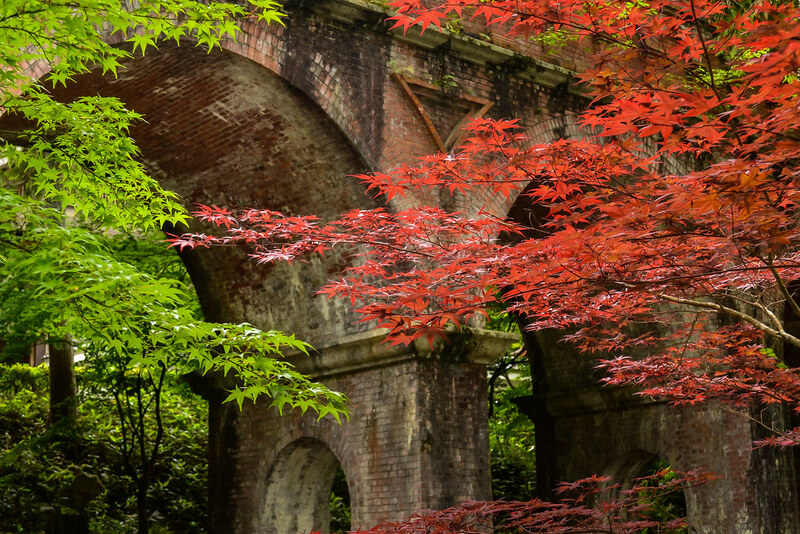 For now, we’ll push on, appreciating the kindness of the Japanese and the odd spot of beauty we happen across. 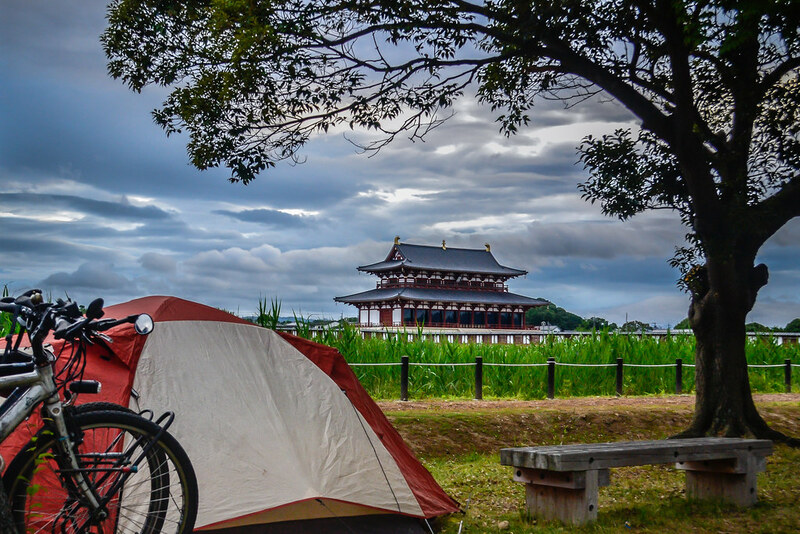 The best part so far, a beautiful camping spot in the grounds of Nara Palace. The security guard popped by on his bike and after realizing we spoke no English just smiled and was on his way. Gotta love the Japanese and their indulgence towards foreigners. 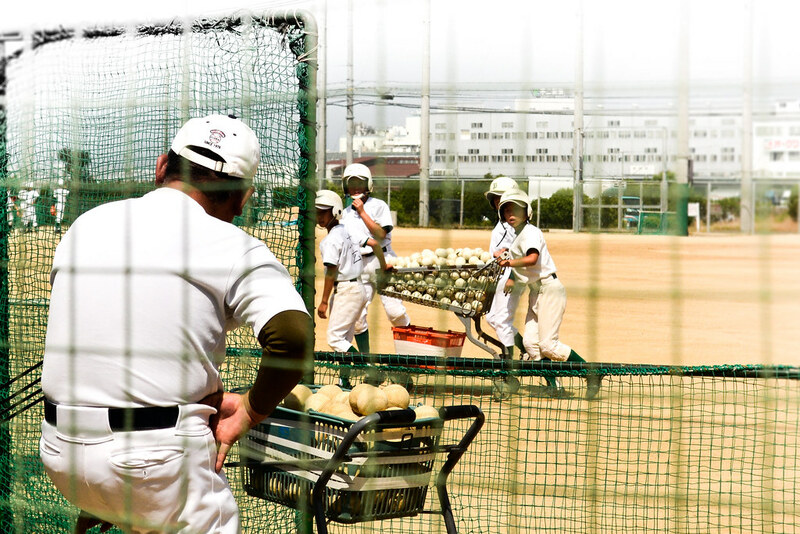 Baseball is as Japanese as sushi and geishas. These boys were out playing early Saturday as we cycled away from the airport. 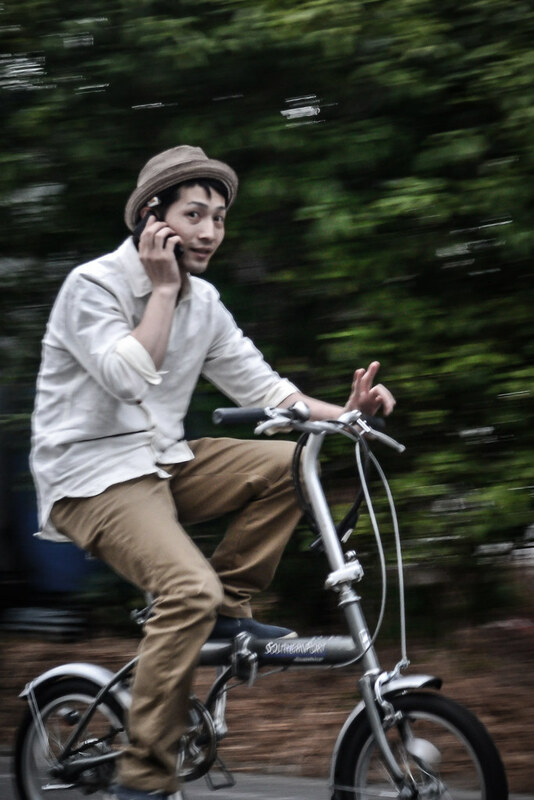 Cycling is incredibly popular in Japan. From schoolkids to fashionable young business people commuting to the office and old grannies on their way home from the super market two-wheeled travel is the way to go. 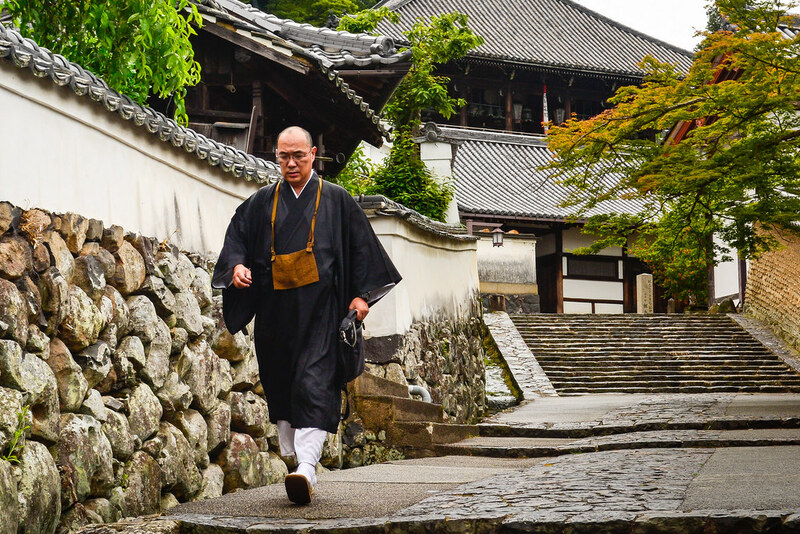 The Zen tradition hangs on in Nara. 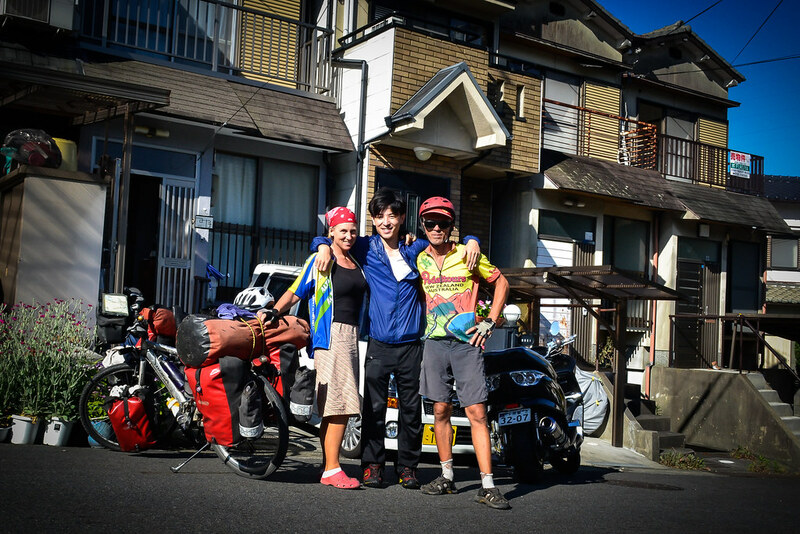 Our couchsurfing host, Hiro, in Kyoto! I’d say at least 30 people assisted us in finding his place. One kind group of gas stations attendants even dispatched a random motorist to direct us to Hiro’s home and call him to announce our arrival. The silver lining to all the stress and hassle of navigating n Japan. The graceful beauty of Kyoto. We may have missed the cherry blossoms but the temples are extraordinary any time of year. The Kogas make it to country 94~ well 94 for my Koga at least. 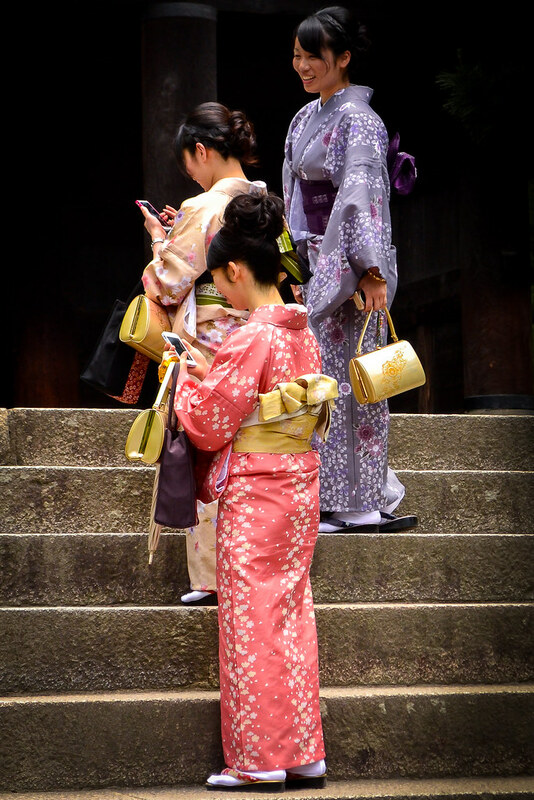 Tradition slams up against modernity as these young women tap away at their smart phones while visiting a temple in Kyoto. 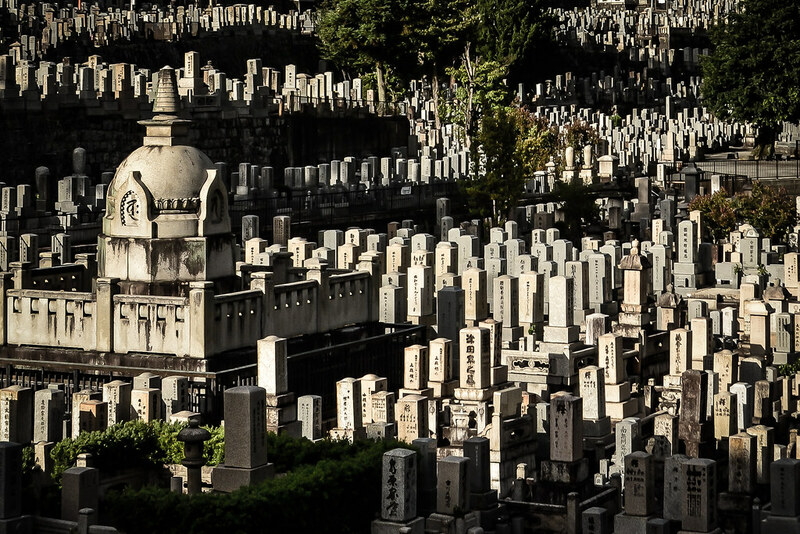 Even the cemeteries are overcrowded! 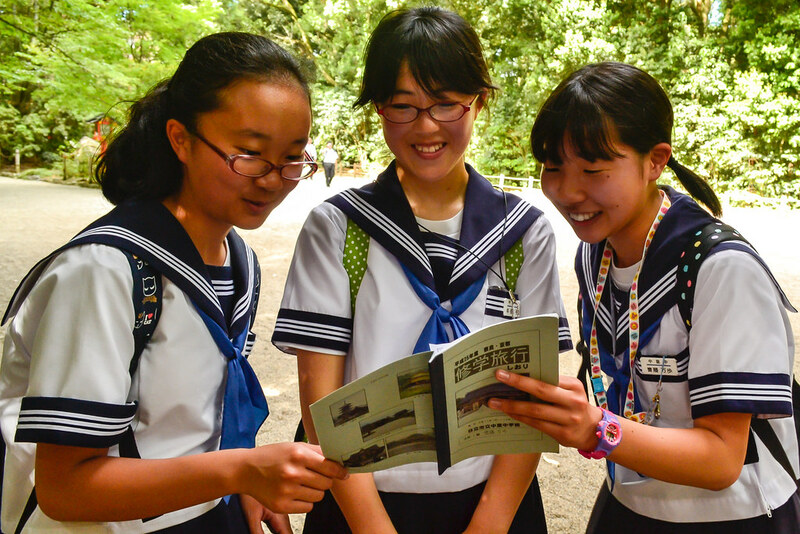 Schoolgirls screw up the courage to approach us and practice their English. 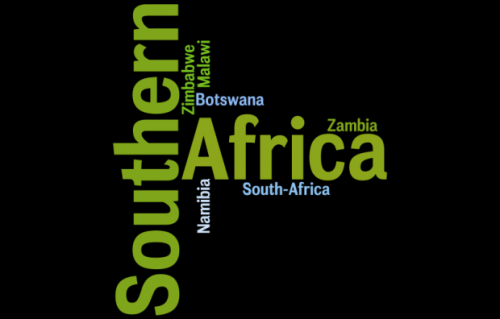 They read off a list of questions, we respond and they dutifully note the answers for their assignment. Finally a switch from the usual spaghetti of the last 9 months! 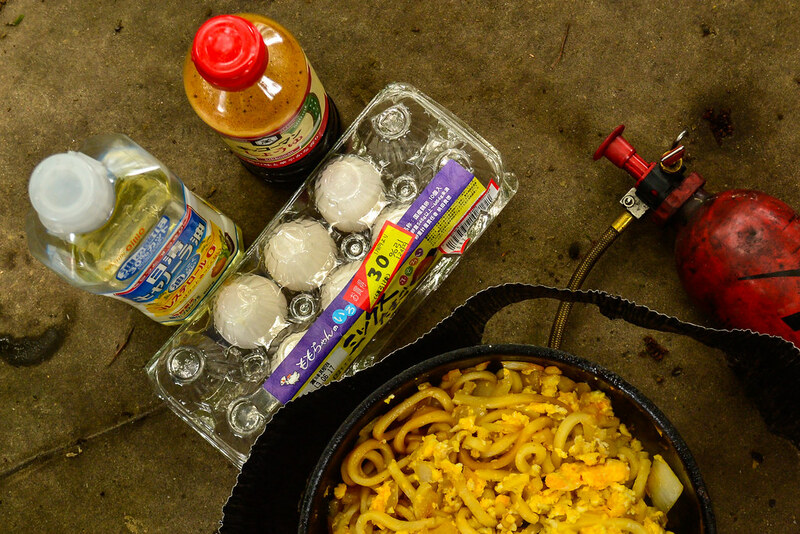 Fried udon noodles with egg are our new staple meal. Looks idyllic! Don’t be fooled, there’s a major highway 500 meters away and chock a block houses right around the corner. 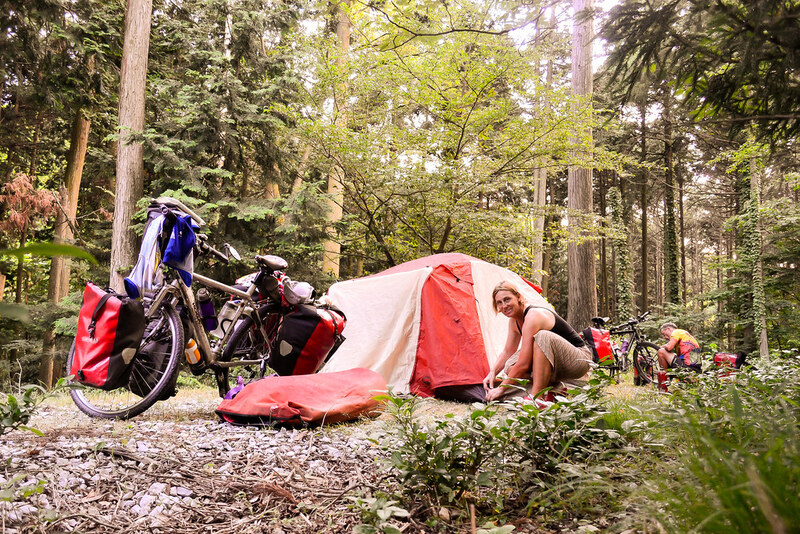 We somehow managed to stumble upon this small patch of forest just as it was time to set up camp. Hi, sounds like a rough start and I feel your pain! The key is to get off that main route and into the countryside. 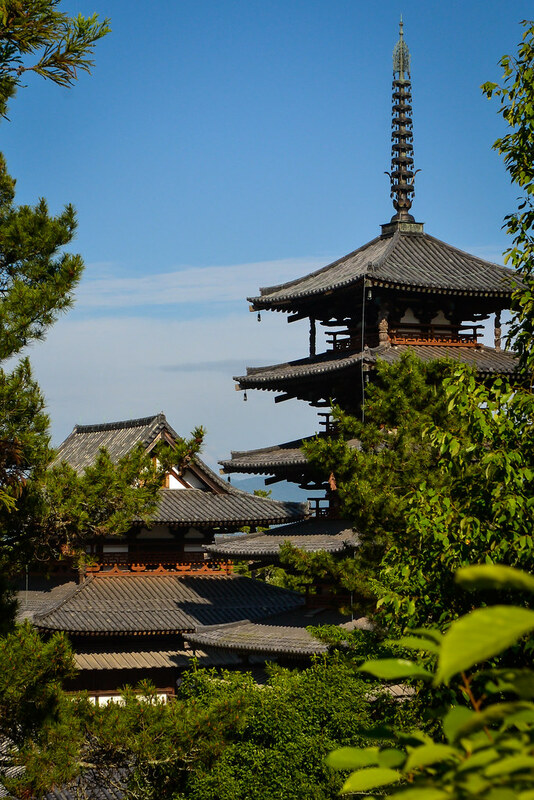 Head into the big peninsula south of Kyoto down into Wakayama, across the narrow Inland Sea onto the island of Shikoku, or go north over the mountains to the Japan Sea coast from where you can head west or east – all amazing options that will put the smiles back on your faces. 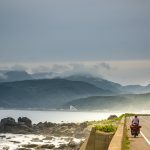 That corridor is hell on a bike, but is a relatively narrow one; a quieter, more cycle-friendly Japan is waiting for you, and is closer than you think. Thanks, Paul, for the encouragement and route suggestions. Will keep focused on the good stuff that lies ahead! 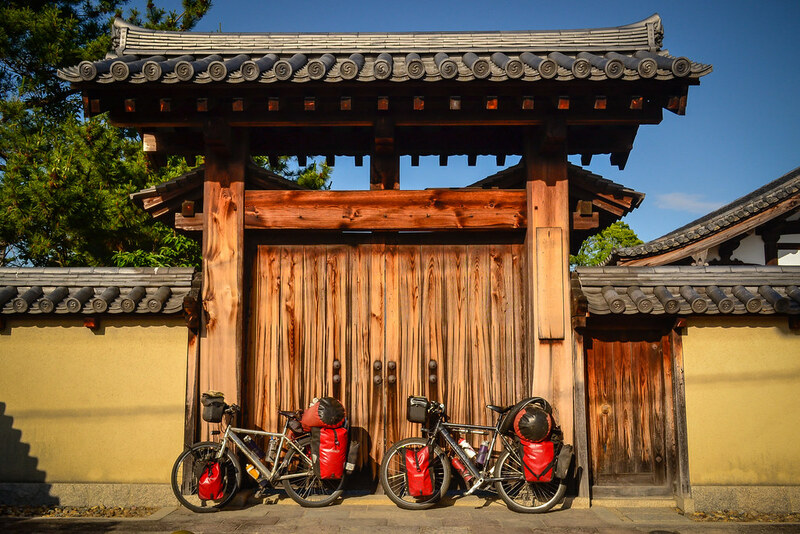 Nah, those pretty panniers have only been through Asia–a couple years old, though. Gave them a good wash in OZ. 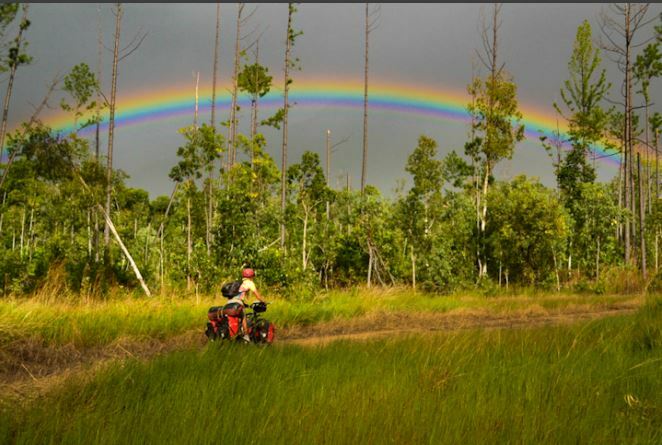 Those quiet roads are out there and we WILL find them! Best of luck to you, Helen, on your upcoming Asia tour. Wow, you guys are going to LOVE the roads up here in Hokkaido. And I too slept at KIX back in March and wasn’t all that impressed. Pretty bright. Hi guys, am really enjoying your posts. 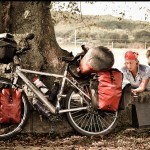 Any chance of perhaps doing a blog for us Newbies on “Bike Touring Food”. What do you eat, what’s a yummy meal you can prepare quickly, any tips on using the Whisperlite International, what staples live in your ‘pannier pantry’ etc.